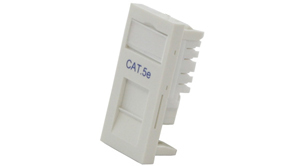 CE patch panels comply with the current standards for enhanced Category 5e. 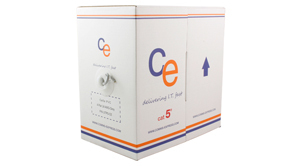 CE 5e patch panels are designed to minimise deployment time and maximise connection strength. Each panel offers a choice of labelling systems to include both labelling fields with writable surface and separate identification strips are provided to allow further labelling where required. 4 x M6 Cage nuts & bolts for fixing in to a cabinet, coloured black to match the panel itself. 4 x Cable management rings. Durable lacquered steel front panel. 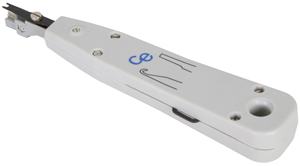 Conforms to ANSI/EIA/TIA, ISO/IEC11801 and EN50173 Category 5e standard, FCC part 68 requirements. Gold over Nickel plated jack contacts. Phosphor Bronze & Nickel plated IDC terminals. 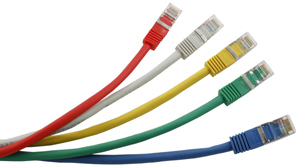 IDC terminals accept 22 to 26AWG solid and stranded wires.